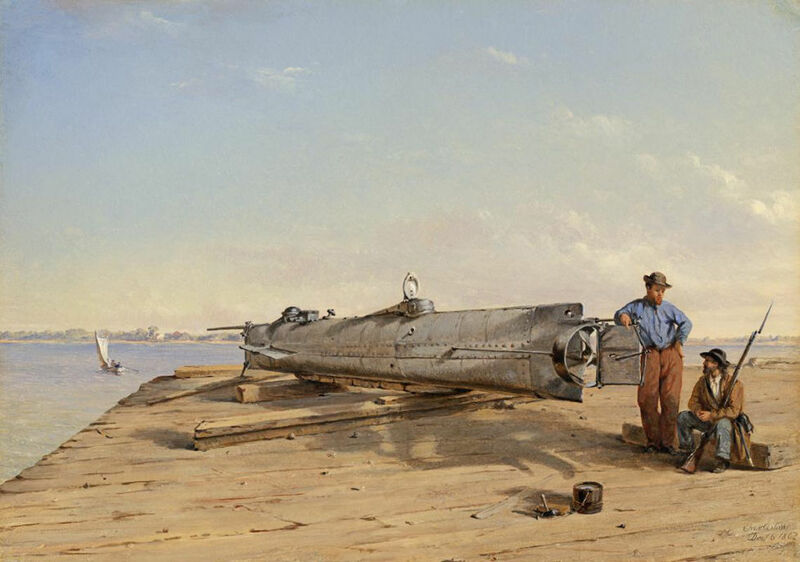 The Confederate submarine CSS H. L. Hunley bears the distinction of being the first submarine to ever sink an enemy ship. But the Hunley, a work of state-of-the-art engineering for its time, never returned from that mission on February 17, 1864. Instead, after exploding a “torpedo” below the waterline of the Union sloop-of-war USS Housatonic in Charleston Harbor, the sub was lost at sea. Just how the sub was lost had been a mystery for over a century. The Hunley would not be found again until it was discovered on the floor of Charleston Bay in 1995. The sub was recovered five years later—largely intact, with the remains of its crew all at their stations. Based on the findings of Clemson University archaeologists who examined and restored the sub, it did not appear any attempt was made by the crew to escape.